Our two most crowded thoroughfares–Broadway and Bowery–lie a very short distance apart, but epitomize the divide between uptown glamour and downtown edge. March 26th, these two come together for a night not to be missed! 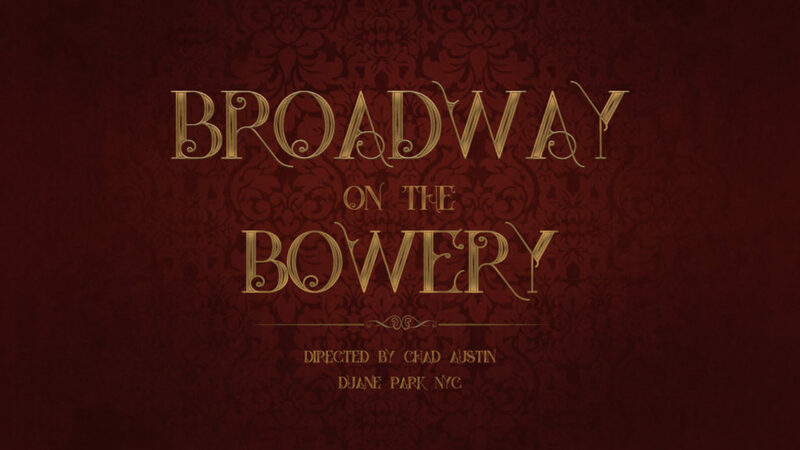 Abingdon Theatre presents Broadway on the Bowery; a curated cabaret series that brings new performances by Broadway’s finest downtown to the intimate setting of Duane Park. This is not your mother’s dinner theatre. In addition to the glittering chandeliers, expect to find fire dancers and aerial performers suspended above your table. You may have seen Gypsy, but have you seen it with real burlesque performers? Come see Broadway stars let their hair down and do versions of their favorite songs you can only get below 14th street. Duane Park, known to spice up your night (and your tastebuds), Duane Park is the perfect venue to bring you inches from your favorite Broadway performers while dining on a three-course meal.